I'm sure there are a couple kicking around in a drawer in your house somewhere. Who knows, maybe you're even wearing one right now. The brightly-coloured silicon bracelet, mainstay of charities and causes across the globe. Cheap to make and buy, easy to wear, almost ubiquitous. Because of their universal appeal, enterprising minds are starting to see if the silicon bracelet can be used for anything other than declaring your support for a cause, an event or a group. I recently invested in a Kickstarter for the Flip Band, a double-sided affair which is designed to help with motivation over a particular task. Red on one side, green with a big tick on the other when you've done that thousand steps, or words, or calories a day. But researchers at Oregon State University have gone a step further. They've discovered that the chemistry of the bracelets can be altered to detect chemical compounds in the air–over 1400 of them. 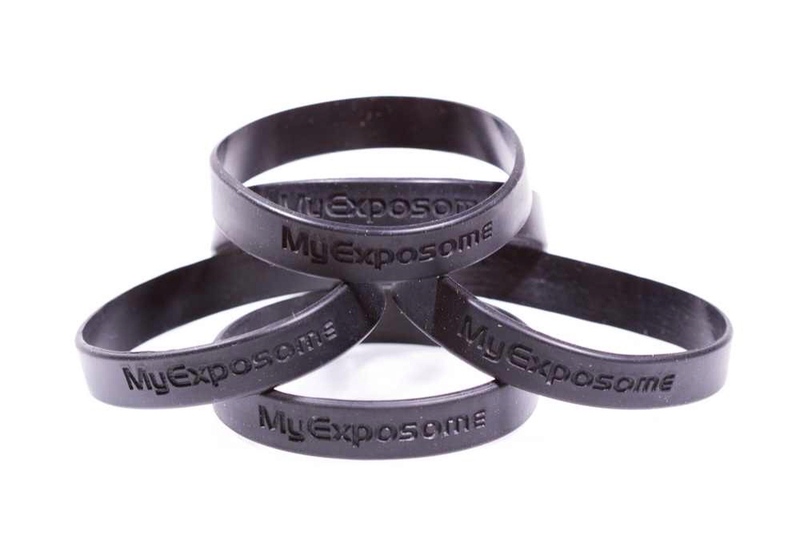 Now, in association with a start-up called MyExposome, they're opening that tech up to the public. We live in an age where many of the chemicals we are exposed to on a daily basis have unknown or uncertain side-effects. With air pollution on the rise, it makes a great deal of sense to be able to monitor your own exposure to potential toxins in the environment. There's a down-side, of course. The bands and, more importantly, the analysis, don't come cheap. You're looking at just under $1000 to be able to wear one for a week and get the gen back on what you've been exposed to. And then it's down to you to do the research on whether the compounds in question are dangerous are not. As international guidelines on any one product and what level of exposure is dangerous can vary from one area to the next, MyExposome have wisely decided to stick to a neutral list of ingredients. It's expensive, sure. But it's also early days, and a quick take-up of this kind of open, people-based science could be of real benefit and rapidly drop the price. Monitoring of the chemicals we're pumping into the environment depends at the moment on small samples of a tightly defined area. Increase the sample size and widen the area and we'll get a much more accurate result of the nasties that industry has decided it's OK for us to live next to.